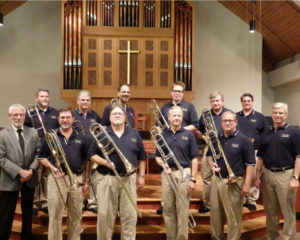 Membership: – Slide by Slide members include many of the most talented and dedicated trombonists in metro Atlanta, coupled with a first class rhythm section. Atlanta-area trombonists looking for a great time are always welcome to hang out with us! 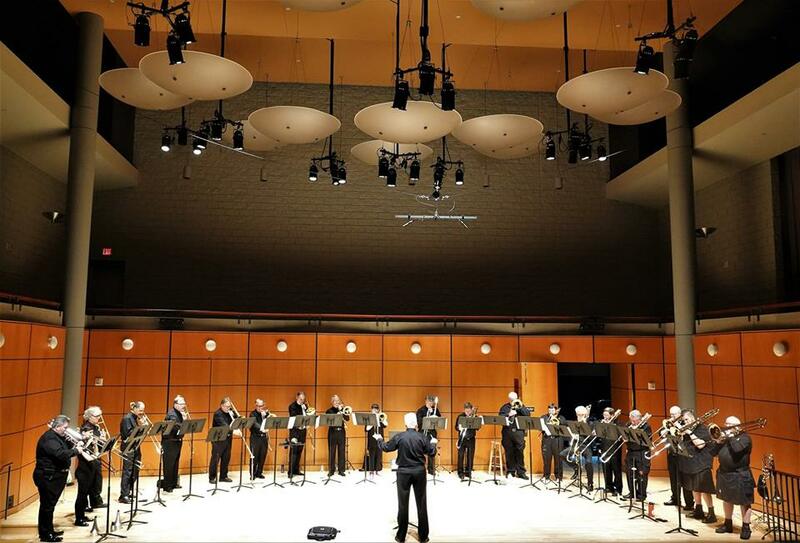 Origins: We began as an outlet for the Atlanta Wind Symphony’s (AWS) trombone section. The average trombonist has a seemingly insatiable appetite for playing, so the section decided to continue rehearsing during the AWS summer break in 1997 – and never stopped! Conductor: – Gil Estes is a native of Atlanta and a graduate of Florida State University where he studied with Dr. William Cramer and Dr. John Drew. He attended the University of Northern Colorado for his graduate work and studied with Mr. Buddy Baker. In addition to conducting the Atlanta Trombone Ensemble, Gil is also active around Atlanta as a free-lance musician, private instructor and brass clinician. Trombone! – The concept of a trombone ensemble may seem unusual to some, yet our audiences are always impressed with the wide-ranging repertoire, and the powerful yet mellow blend of sound uniquely characteristic of trombone ensemble.